Our recently renovated library is bright and welcoming - the perfect place to complete homework, study with friends, read a book, or relax and contemplate the big oak tree. Search all library resources here. Search for books, DVDs, and eBooks. Get your library username before starting this process. You can install the app without it but you won't be able to log in without this number. You can get it from the library or you can email Mrs. Rettberg. 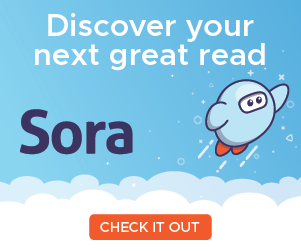 Download the Sora app on your device or go to the Sora login page. Click "Find my school", then enter Menlo School. We are part of the BAISL Shared Digital Collection - click "this is my school." Use the drop down menu to select Menlo School. Enter your library username and sign in.